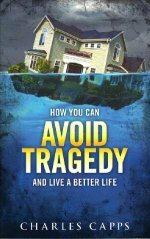 Description: How You Can Avoid Tragedy and Live a Better Life! by Charles Capps. You can absolutely change the direction of your life by exposing your heart to the Word of God! How often have you heard the question: "They were such good Christians! Why did this happen to them?" Many believers lives have been overwhelmed needlessly by defeat and tragedy. Satan's greatest weapon has been deception-getting you to believe something contrary to God's Word. Wrong speaking, wrong praying, and wrong believing will destroy your faith. Praying "If it be Thy will," has opened many doors for the devil's opportunity when God's will is already revealed in His Word. Learn to use the ability you have to Avoid Tragedy! This book was written to free you and to help you avoid tragedy in your life. Once you taste victory, you will never again have a desire to experience defeat. You can learn to apply the principles of God's wisdom to your life and defeat the devil. Formerly title Why Tragedy Happens. Dimensions: 5 5/16" x 8 3/8"